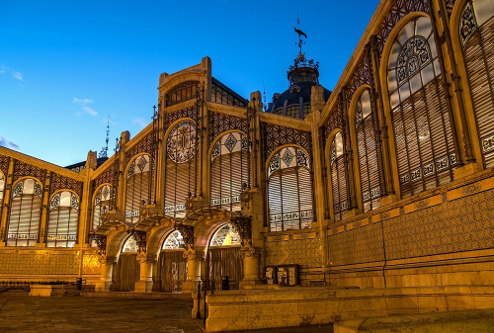 It is purely a food-market where you can find any Spanish delicacy! 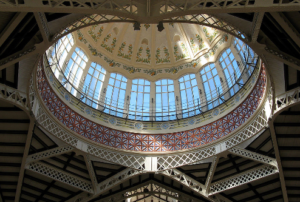 A beautiful example of modernist architecture, The Central Market (El Mercado Central) is an important part of the Valencia’s history. Its commercial development was consolidated around the 14th century and its fame spread throughout Europe. 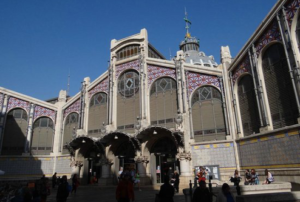 In 1882 the City Council decided to build a fully covered market but the construction of the building as we know it today, dates from 1914. Nowadays, this brilliant, modernist monument brings together more than 300 small local traders. The variety and the quality of the products makes from it one of the most appreciated markets, both for tourists or locals. It is considered to be the largest center of its kind in Europe.